Sony India Limited is a part of Sony Corporation. It started in India in 1994. “Sony” is one of the most popular or recognized brand names in India and worldwide. They do business in the fields of electronics, game, entertainment and financial services sectors.They make their own products and focuses on the sales and marketing of Sony products in the country. It is having two types of product and those are consumer products and professional products. Some of the consumer products are television & projector, in-car entertainment, home video, home audio, home theatre system, tablet, portable audio, compact digital camera, interchangeable lens camera, video camera, computer & peripherals, game, mobile phone, storage media and batteries and accessories and the professional products like broadcast & professional, digital cinema and projector. In this post we will sharing the answer of some common queries of customers about the company such as how to contact Sony, what is the customer care number of Sony, what is the toll-free number of Sony, what is the head office address of Sony, where is the head office of Sony located in India, Sony head office contact details, Sony customer care, Sony contact details etc. That was the small introduction of the Sony India Limited and now we are going to provide you the contact information including customer care numbers, toll-free numbers, contact numbers, addresses, etc. that will help you in contacting the company. This is the customer care toll-free number provided by the Sony India Limited for all the queries and support related to all the products except mobiles. It’s available for all Indian customers in all 7 days (9 AM to 7:30 PM) and it is completely free. Here are the contact details Sony India Limited’s registered office or the head office. If you want to visit or contact it then you can use the information we are mentioning and it includes full address, phone number, fax number, mail address and the official website of Sony India Limited. Full Address: A – 31, Mohan Co-operative Industrial Estate, Mathura Road, New Delhi-110044. There are many branches of Sony India Limited all over India and if you want to contact them then for the purpose we are mentioning a list of contact details including full addresses, phone, and fax numbers. Now you can check it out below. Vishakhapatnam Mohans Arcade, 1st Floor, 47-11-5, Dwarka Nagar, Vishakhapatnam-530016. We have provided you all the possible contact information of Sony India Limited and still, you want to know something more or want to have a deep look on the company than you can visit the official website of the company mentioned above. Copy this URL from here and paste it into the new tab to visit their official website where you can check their products and read their policies. All official social profile account links of them have mentioned above, by following these profiles you can stay tuned with them. This is the official email id form link of the company, you can email id them through this form. You can get the solution of your queries live also by following the above given link. If you are searching for jobs in this company then this career link may be so beneficial to you. What is the Customer Care Number of Sony India? 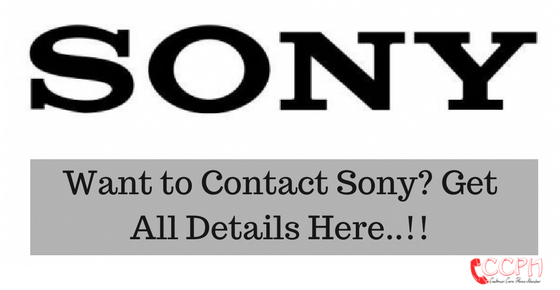 How to contact Sony India Customer Care (Other Ways)? What is the Office Phone Number of Sony India? How to contact Sony India Office (Other Ways)? Head Office Address A – 31, Mohan Co-operative Industrial Estate, Mathura Road, New Delhi-110044. Sir , I have purchased your product TN SONY KDL43W00D (8570953) on 26 th March 2017 from Digital World Dealer , 1273,Samrat Ashok Chowk, Ramling Khind Galli,Belgaum (Supplier Ref. DW/1541/1617 against INVOICE NO.1541 at the rate of Rs.58000/-. and using the product for last 3 months …..
After about one and half month , I observed a very light horizontal line on screen and initially thought that it is line in picture . After changing the channels also it is appearing in very slightly and that is reason I was kept observing the same . But in the first week of July the said line started appearing in dark , so had contacted dealer and as per his instructions, I have forwarded the photo of the screen and invoice photo to representative Mr.Sai of Digital World an din tern he has forwarded it to Sony Service Centre of Belgaum on 7th July 2017 . The service engineer from Sony Service Centre has visited my house on 8th July 2017 and after visual observation , he commented that ‘ There is damage on the screen ‘ and without investigation , he had taken somemore photographs and taken my signature on his visit form and went back . I had explain him, his incharge Mr.Bhat and also Mr.Sai of Dealer that , there is no damage /scrach on screen / Tv on front and backside of TV , I have requested them to do the investigation further , but no one have turned back to me . I feel that It could be minor manufacturing defect which has invoked now and started coming horizontal line after 2 months . I have expressed the same thing to all of them . On 12 th July 2017 evening I received the call of Mr.Bhat of Sony Service centre, Belgaum , saying that the sony company has rejected my complain / request and it can not be replaced / repair from company / service centre and it will be repaired at the cost of Around Rs.22000/- .Since it is under warrenty, I had requested them to take issue again , do the investigation and do the needful but no positive response and harassing customer like me . On 13th July and today 14th July , I have contacted your toll free number : 18001037799 and had talk with Ms.Neha and Mr. Shivansu and as per there instructions , I am sending mal to you. The reference complain no at toll free number is : 040698384 Dtd . 14/07/2017. Sir , I am from middle class family working in private company , purchased your product once in life time at such a huge cost and within 3 months this issue comes up . I am using your many products for many years and didn’t found any problem and I am old customer of Sony India and have faith on company for needful service . I am requesting you to , if require , investigate the matter again and do the needful …. either replace / repair at your cost. I have purchased klv 32w762E Internet tv recently. I would like to know about wireless keyboard suitable for above tv. I had purchased one SONY BRAVIA TV 3 years back. My TV set hardly runs for 2 to 2.5 hrs daily on good voltage stability. 10 days back suddenly its picture goes in negative mode. Your GUWAHATI service centre technician visited my house and said that the display screen has to be changed and accordingly he took my complaint after taking Rd. 1035 and said HO people will call me shortly. It’s five days today- no body has responded. I feel this approach is not appropriate. Another point is- the TV set is a bit costly and SONY is Iconic brand. I am really really surprised and literally shocked to hear that the display screen has to be changed coz this involve a good amount. If the life of SONY TV (costly) is so small then I would suggest my friends and all other to go for NON branded cheaper TV. Because in that case we will be prepared to bear this sort of cost. My BIHU and Baishakhi both are spoiled because of your non professional behaviour. A Sony 32″ LED TV was purchased from M/s. K-35, Lajpat Nagar – II, New Delhi, Delhi 110019 dated 24/04/2016 with a cost of Rs.32, 000/-. Now the said TV is not working and the display has gone off. The TV is under warranty and therefore it is expected that the said TV should be replaced immediately by your company. with an warranty period of 2 years printed on the Box of the TV and is not functioning since 24/04/2016.Due which a great has happened , once the dignity of the person is lost, there is no U turn for dignity, can u give the loss, the children and the kids are missing during the winter vacations. The complaint lodge was attended saying that the mother board is burnt. the replacement of which will cost me the price of new 32′ LED TV better u quit. I HAVE TO STATE THAT SEVERAL INCIDENTS HAPPENED IN THE RECENT PAST WHERE SOME UNAUTHORIZED & UNSKILLED PERSONS WHO ARE POSING THEM SELVES AS AUTHORIZED SONY SERVICING TECHNICIANS AND WHO ATTEND THE SERVICING OF SONY PRODUCTS SPOILED THE SONY TVS AS A RESULTS THE COMMON CONSUMER WHO ARE USING SONY PRODUCTS ARE FACING SEVERAL PROBLEMS.IT IS TO BE STOPPED BY GIVING THE LIST OF AUTHORIZED SERVICING SONY S CENTERS. IN THE INTEREST OF REPUTED SONY COMPANY. i bought a led tv on diwali n raise a complaint on 31st oct. but still no action has been taken so far croma preet vihar as well as sony delhi. so frustrated n dont buy next time this product not suggested to anyone to buy. This is to update you i havent got any resolution for my below issue and no proper response for the issue. What is the highest escalation point of contact to escalate this case and get this to closure. I am writing this with a lot of frustration and dis satisfaction with Sony. I am using Sony product for the past 7 years and for being a loyal customer – I was forced to this level of frustration. Initially i got a call from the customer service person saying that the Display has to be replaced and it would cost 20000 and i gave a confirmation that they can proceed with the replacement of the LED display, after which i haven’t got any call or response from the customer service person . Later customer service people asked me to pay 2000 for the part replacement and i paid 2000 on the same day evening and they gave a commitment the product will be replaced in a week and after a week got a call from them saying that the received part is a defect part and they are ordering the product again and after a week got a response from them saying that the second ordered part is not available so they informed me that they will provide a new TV costing 63000 and this will be handed over in 5 to 7 business days. Why is that a loyal customer of Sony has to wait more than 5 months for the issue which customer service people has done. This has pushed me to a extreme level of frustration and where in i have got a mindset not to get any sony products and not to recommend any one in future for Sony customer service because of the poor customer service. In addition the customer service people were so rude and the service where I received one of the ir-responsible answer. I am writing this to you just to ensure I get justice as I was cheated here. Please make sure that this doesn’t happen to any customers in future, keep in mind that not even one customer will wait for 5 months for a product and wont be tolerating all these kind of answers and they will make a big noise, but i have been so patient all these days and finally got a frustrating response from the customer service. I would be expecting any senior leads or nodal officers to call me regarding this issue. Display mean panel of KDL 40 Ex520 is no more available in the Sony company panal as told by our itanagar service. I wanted to repair as early.but if not what will be exchange offers as of now. I am also standing in the row of FOLLOWING aggrieved customer who is not satisfy by the service of Sony service center UJJAIN. I hv purchased a Sony LED Android TV Model KDL-40R350B on 03.04.2016 and on 12.8.16 its Display went off. I logged the complaint on 25.8.16 and the Service Engg visited on 25.8.16 and told us that the Display has to be replaced and he took the Coupon from the Warranty Card. He assured that the part will be replaced within 7 days that is by 20.8.16 and the TV will be functioning then. But today is 06.10.16 and my TV is still down from last 45 days. I think the replacement part is travelling around the globe. I hv called the Customer Care and the Local Service Centre as well but there is no proper response and they only say that your complaint is in process. I feel it’s a big mistake to purchase SONY product as the After Sales Service is very bad and poor. My Complaint ID is 034135722. Im using sony xperia m4 aqua dual…. My Sony Xperia C4 handset again and again create same problem and service care centre ,customer care and other concern person not taking any concrete action. so, i want to say all of you my dear friends avoid any sony products they want only sale after that customers go to hell. i had deposited your authorised service centreM/S. TEKNO PLAZA, Garia, Kolkata , a D/D of Rs. 41925/- on 09/09/16 , as advised by them,as exchange offer for my old Bravia LCD 32′ against a new KLD 40W 562D. The payment along with delivery charges of Rs.575/- was duly recieved and acknowleged by the said Service centre M/s. TEKNOPLAZA, GARIA, KOLKATA. All relevant documents are available with me. As already 11 days have passed by, I would request you to kindly intervene and please take up the issue with your service centre, so that the newTV set is delivered immediately. I hv purchased a Sony LED Android TV Model KLV-40W562D on 22.04.2016 and on 12.8.16 its Display went off. I logged the complaint on 13.8.16 and the Service Engg visited on 16.8.16 and told us that the Display has to be replaced and he took the Coupon from the Warranty Card. He assured that the part will be replaced within 7 days that is by 20.8.16 and the TV will be functioning then. But today is 6.9.16 and my TV is still down from last 25 days. I think the replacement part is travelling around the globe. I hv called the Customer Care and the Local Service Centre as well but there is no proper response and they only say that your complaint is in process. I feel it’s a big mistake to purchase SONY product as the After Sales Service is very bad and poor. My Complaint ID is J62008333. I write to you with exasperation and helplessness as a customer. I bought a Sony LED TV – Model KDL-32W600A (Sl No.5396601) on 06.04.2014 and within 2 yrs and 4 months of its purchase, the display panel conked out on 20.07.2016. Now my ordeal has started. On 21.07.2014 I raised a service request which was registered (No.33426549) and was assigned to Madonna Sales & Service, Trivandrum. The mechanic, on inspection of the TV, said display panel has to be replaced and got a form signed by me. I was informed the total cost will be Rs.12,842/= and it will take about 15 days time to get the job completed and further requested for part payment in advance for placing order for new panel. He said had I opted for extended warranty, the work would have been done totally free. I informed him that I was not informed of this option at the time of purchase. I made payment on 26.07.2016. There has been no progress. On enquiry, I was told the panel of this model is not readily available and they are placing indent for it through internet. Still there was no progress and on my persistent enquiry, I was told that they have decided to replace the TV with a new one on discounted rate with a different model of 32 inches LED TV since KDL-32W600A is no more available. I was asked to pay Rs.12,268/= by DD in favour of Sony India Pvt Ltd payable at Cochin. I handed over the DD and signed a request letter for exchange/discount purchase on 11.08.2016. I was told within 20 days, the replacement TV will be supplied and installed. So far this has not happened. Madonna Sales & Service, Trivandrum, maintains that they can install the TV only when it is supplied by Sony. They do not know when it will happen. They are refusing to give the contact number of Sony, Cochin, to enable me to follow up. More than a month has elapsed since my service request registered on 21.07.2016. As a customer of Sony, I do own camera (2 nos) and laptop apart from the LED TV. Now my confidence in Sony has been shattered, as I have been treated very shabbily. I am made to run from pillar to post for no fault of mine. I demand a better deal that I deserve as a customer from you. My experience so far has been that Sony India is run on Japanese name with Marwadi (Cheat)mentality. Sony should arrange for immediate supply of the new TV for which I have already made the payment 15 days back. Even if the model agreed to be replaced is not available, don’t you think, as a customer friendly gesture, you should have arranged for another higher model to pacify an aggrieved customer? Yes, that is how Japanese management go about as we all know. I hope my belief in Sony will not be allowed to go astray. I am suffering too many issues from this cell like hang issue, auto back panel issue. and with in 6 month this cell was attend by service center 4 times. now this cell is used by service center more than me. I have purchased sony LCD KLV 26BX300 as per referd 1st above. The present problem of the LCD is that the pictures are with grains. The sony service center alpy informed that the panel has some complaints. The sony service center offered me that they would give new TV if I pay 75% off the MRP along with old LCD. I have contacted NANDILATH SHOWROOM Alpy enquiry conducted in TV price. The value of LCD 20% discount of MRP Eg:- MRP of new TV Rs. 1000, Sale value of showroom is only 80% of MRP, ie, Rs. 800 , Your offer Rs. 750 DD+ old LCD From this offer what is the benefit for the customers? I have contacted Mr. Sunil, and Mr. Rajesh, etc.. The above document was sent by whats app to Mr. Parashuraman So I don’t want your rediculous offer, I want only my TV to get repaired if you are not ready to do that I will file a suit in the consumer court, your reply is expected as early as possible. I am using a 32″ Sony BRAVIA from last 5 years. In 2014 there was a problem in the set , service center changed the panel of the TV and billed around Rs.9000/- . Last year 2015 November again I have to repair it with Rs.1800/- . But again in last 25th March 2016 my TV got black , no picture is coming . I registered a complain in service center & the Registered ID is 31327171 , assigned to Teknoplaza . Their service engineer visited and took my set in their service center and gave me a estimate of Rs.14800/- & told that have to change the panel again. I have already spend Rs.10800/- & now again Rs.14800/- . I just want to know how come a panel got damaged in every 2 years ? Also for a Rs.32000/- TV I have to spend Rs.26000/- in 5 years ?? Please help me by solving this problem at the earliest . I purchashed a Sony LED Model no. 32R402A in december 2013. I got one issue in LED in 2014 and the solution was replaced the board which was in warranty. I did not pay any amount. After 1 year means 2 dec 2015 , i got another issue in LED and now the solution is change the board. Unfortunately this is second issue during 2 years completion of my puchasing this LED. This time i am paying 6000 rupee. It means i will get the issue in 1 year and i have to pay 6000 rupee every year. This is frustating for me that i purchashed sony product. I puchased this LED just because of market, it is famous in market but it is like that. Sony product is not reliable like others. I have to maintenance chargea 6000 rupee every year…is this good for me?????? Now i can’t suggest to any one to use sony product. If possible, can you help me in this. I along with my 3 other friends purchased Sony LCD TV model – KLV 32BX350 on the same date – 23/Jun/2012. All the four people got problem in the display panel after two years. Two weeks before i also got the same problem. My Tv was a sparingly used one and i believe that is the reason why it became faulty at the last. At the time of purchase there was a upfront in the price for sony bravia than other comparable products available. But also, we purchased sony due to its reliability and the branding. But this is really cheating that all the four pieces of same type and model got faulty (that too with the same display panel complaint). Service engineer checked and informed to chnage the display costing Rs.14K. Please take up the matter seriously and help me to make it repaired at the earliest. My Address – Manoj J Chittilapilly, Senior Manager, The FEDERAL BANK LTD, IT Dept, HEAD OFFICE, Aluva, Ernakulam Dist, Kerala – 683101. My name is Ashiwini Kaushik, one of the product owener of your reputed product SONY XPERIA Z-ULTRA. i started facing issues with this product almost after 6 months, (which is quite understandable), i went to one of your service center and the response was really pathetic they are so rude while dealing with the customer like we are stealing something from them. then i raised the req for the cell and submit it to them on 26th september 2015, at that time I was assured for the product to be replaced within 7 days and today is 21st october that i am forced to mark mail to you, plesase help me in getting my product. looking for a positive solution from you. this is Rasheed i am from Nellore(AP) i have purched sony xperia z1 on jan’15, present my phone having ear speaker noise problem coming again and again phone is hanging frequently and also having touch screen problem. I am not satisfactory on your product. I have taken these issues to nearest service centre at Nellore. But problem not yet solved. For my mobile they have given me a recycled mobile which is not in good look as my mobile. Kindly understand my feelings and resolve my handset issues or kindly arrange a new handset to me. hii this is prathmesh here my job no- w115060906072 .my phone m4 aqua starting creating a prob on d 8th day of buying.so i went to service center krish electronics malad east mumbai india.to resolve my prob bt they were nt able to so i ask for duo letter for mr Prakash more bt again they said no. so again i had a word with nayan who is ur sony customer care employe. bt the guy was nt helping us bt to was creating a prob n wasting m time n also told me tht will nt assure to give a duo letter in within 7days of buying so i jst want to noe is this service ur providing to customer. i feel like i waste my 23500 by buyng ur sony product. i kindly request to sony to help m to provide a duo letter.please note i been to others service center also like iball,nokia. i find tht sony is big brand name only interm of service other co. are 100% better. really unhappy with sony. i ask the guy mr prakash to give contact or mail id detail detail of his head bt he straight away say no to us.. same thing done by customer care guy also.so its a request to sony to look after their services. service management nt at all is good. if u treat ur customer like this so rude so u will loose ur customer. I brought sony experia e3 dual, and all downloaded images and all the images which are stored in tje internal memories are not displayed in album….whats the problem with that??? WE HAVE PURCHASED SONY BRAVIA TV 26 INCH ON 09.09.2009. ON 28TH MARCH,2015 MY TV STOPPED WORKING.WE HAD MADE COMPLAINT TO SONY TOLL FREE NUMBER, ONE MECHANIC CAME ON 30.03.2015 & TOOK THE MOTHER BOARD OF THE TV BY POINTING OUT THAT THIS PART IS DAMAGED & THEY WILL SEND IT FOR REPAIR & IF IT IS NOT REPAIRABLE THEN THE PART SHOULD BE REPLACED WITH COST OF THAT.AFTER 10 DAYS OF FOLLOW UP AND COUNTLESS NUMBER OF MISCOMMUNICATIONS FROM THEIR SIDE WE WERE INFORMED THE PART COULD NOT BE REPAIRED AND THAT WE WOULD HAVE TO PURCHASE A NEW ONE. BEING READY TO DO SO WE WERE INFORMED THAT THE CONCERNED PART WAS UNAVAILABLE NATION WIDE WHEN IT IS THE DUTY OF THE COMPANY TO KEEP AN AVAILABLE PART FOR 11 YEARS AS PER CONSUMER RIGHTS FORUM. WE WERE THEN GIVEN AN OPTION OF PURCHASING A NEW TV WITH 25% DISCOUNT THAT TOO ON MRP HOWEVER 10-12 % DISCOUNT IS AVAILABLE AT ANY RETAIL OUTLET SO THE COMPANY IS PROVIDING ONLY 12-13 % DISCOUNT THAN WHY SHOULD WE BEAR THE ADDITIONAL 85-90 % COST WHEN IT IS THE COMPANY’S RESPONSIBILITY TO KEEP SPARE PART AVAILABLE . My phone XPERIA-Z1 was given for servicing(Job No: W115031705348) at MADONA (Ernakulam) on 17/03/2015. There were some network and speaker issues. It was supposed to be returned back within 7 days, but i haven’t received it yet. when i called at your customer service last week as well as today, i was informed that you were waiting for some parts to arrive. It has been showing some complaints for the last 4 months and most of the time it is under servicing. It was working fine till i noticed some network issues and gave the same for servicing.Several frequent services and 2 replacement was also took place in this 4 month period. My Phone was completely free of scratches and the one which i got after replacement was also good, but currently it is under servicing. I request you to return my phone in 2 days. Please do the needful and return my phone at the earliest as possible. I bought Sony Xperia C3 dual on 18th March (2015 manufactured) IMEI # 356872064613096. Later, it was observed with a touch problem within couple of days which I raised it at Lajpat Nagar Sony Authorized service center. They gave me a DOA # D115032104058 after a much of mental harrasment and argument to convince them with a touch problem with the handset. After that I received a new handset on 28th March (2014 manufactured) with IMEI# 356872062490877. With just after 1 day it stopped working and handset screen started flickering. I raised a request at Customer care (Req# 15032900538) where Customer executive Pratham Swaroop answered and confirmed that I am liable for a refund since the problem has occurred twice and money would be delivered either by cheque or cash at any of the Sony authorized service center with 3-4 days. But it crossed all the limits of mental harassment when service center at Lajpat nagar refused to refund and to add on it even refused to replace it with a new device and said there is no such policy. I discussed it with Service head and surprisingly he suggested with his reluctant behavior to repair the device as there was some problem in that 2014 lot. I argued, if there was an expected problem it shouldn’t be delivered to customers and why would I go for a repair of a device which is just a day old. I have been thoroughly harassed. Request you to take this matter seriously and provide your suggestions. We require Sonymax make speakers with Banana clip on below spec. Kindly provide me the quotation. This is with reference to my SONY BRAVIA LED KLV-40EX430 (40 inches) purchased in the month as on 27/02/2013 . I wanted to inform you that within two years itself my LED started to show red vertical lines and on bringing to the notice of the Sony engineers I have been asked to pay Rs.23,500/- ( approximately 40% of the total cost of the TV) as the panel needs to be changed/replaced. A SONY TV worth Rs.54,900/- has given me such a massive expense of Rs.23,500/- which is not even 2years old !! I would like to tell you that I’m a salaried middle class woman and bearing such a huge expense for the technical fault of your company is completely not justifying ! I hereby request Sony to kindly repair this manufacturing defect without any/ less cost. Please understand that if this is your trick of dwindling people’s money then its absolutely wrong . We believe and trust Sony India to deliver quality products to their clients and not wasting our times to keep complaining about it. Why would a middle class woman like me opt for SONY India products (which are way to expensive ) to a Samsung or LG products which are reasonably priced?? It is because you have a good brand name and you are spoiling the same by such cheap gimmicks. I’m waiting for your response at the earliest! If this issue is not action-ed ASAP then I would only like to say – Do not underestimate the power of a common man!! I’m a media person and we will be creating a forum and group of all the people whose issues were not addressed by your company !! You know with the present networking sites it is quite an easy task!! I am facing same issue in sony 32″ Bravia LED TV. In customer care they are asking me to pay. Is your problem resolved. If so how ? please help me. Dear Sir/Madam, This has reference to my SONY BRAVIA LED KDLEX720 (40 inches) 3D SMART TV bought in December-2011, in the month of september 2014 my LED started to show green vertical lines and on bringing to the notice of the Sony engineers I have been asked to pay Rs.28,500/- ( approximately 40% of the total cost of the TV) as the panel needs to be changed/replaced. On further researching I have found out that this problem (green or red vertical lines) persists in practically all the Bravia LED KDL series. I hereby request Sony to kindly repair this manufacturing defect without any cost. Even car manufactures call back the models that have manufacturing defects so why not such a leading brand SONY. Requesting you to help me out as we expect a more responsible behaviour from SONY and nobody wants to buys a TV that cannot even last 3 years. I would hereby like to mention that i am about to create a forum on facebook, twitter and other social media network creating awareness and educating people to stop buying products of SONY INDIA as the company has faulted big time on the quality of its product. I bought sony bravia led 3d (40KDLEX720) on 6NOV2011.I got the warrenty extended by 2years which is valid till 6NOV2014. I faced with the screen there were the few spots on screen for i made a complaint to the service center (complaint no.J41944286). I got the screen replaced but the issue could’t be resolved. I took the LED to the service center 3 4 times to get the problem resolved. They opened the LED to service the panel but could not fixed the issue. I made the complaint 3-4 times for the same issue but i am facing issue with new panel everytime. I am not satisfy with the service at all. How many times i”ll get the panel replaced? It is very much regretted to inform that the above referred speakers purchased from your dealer considering the brand name SONY stopped functioning(Blue tooth only) which was disappointing. Once again keeping faith in your esteemed brand name i decided to approach your service centre at chembur naka. As decided the speakers were handed over with commitment of immediate remedial action. Almost TWO month passed away and after constant approach your service ex.engineer gives reply with reasons which changes time to time. I also doubt sometimes that may be because,the item purchased by me is of low value. If this is the status of response from a prestigious company, then i feel pity on those who spends extra money for reliable branded products. Kindly take up the issue on top priority or else give me a replacement at an earliest.Hopefully expecting your interference in this subject personally. Ninety five percent of features of Sony Xperia E1 single sim did not work from day one. For next five percent (voice) it was shrill and unrecognizable. Sony seller sent me to Service Centre at Dehradun 248001. They have asked to leave the phone for two weeks then they will be able to tell what is the problem. After this they do not pick up phone and neither reply even sms. Sony India 011-66006600 is another customer enemy line. It says “Wait till we connect to Operator” and they never do. I have tried three times today. The email on is an eye wash. They have decided not to respond. Now where the ailing customer, who buys because of SONY go for his grievances. Internet is full of complaints which were not responded. I bought sony xperia z1 mobile phone before three month’s. All the time its camera got hanged up.I went to the service center in tirupati,they have reinstalled the software many times.the problem repeated.so,they replaced a phone for me. The same problem is repeating now also.the problem has become more.It is showing that camera is not available every time.l could not able to take a single picture. The technician in service center cheated me.He replaced me a phone which is in worst condition than my mobile. I have called to sony xperia call center several times.when ever i called them,they are saying that they don’t have any information. I HAVE THE ORIGINAL BILL’S AND JOBSHEET.I RECORDED ALL THE CONVERSATION WITH CALL CENTER AND SERVICE CENTER.IF MY PROBLEM IS NOT SOLVED,I AM GOING TO CLAIM A CASE IN CONSUMER COURT. Hopping the best and fast reply from you. I had purchased Sony Xperia ZL on 29 Sept 2013. (IMEI : 35538705 – 006236 – 5) this handset had problems so submitted the handset at Aaradhya service center and got replaced with new handset. Within two months again i am facing new and bigger problems. So again submitted the handset in the same service center. My concern is while submitting the handset for second time the representative mentioned the replaced handset (IMEI No: 355387050002189) is registered in some others name. Why used handset has been given to me and conveyed that company has provided new handset. Now the warranty would expire on 27th Sep 2014 and i am not ready to accept the repaired handset. I would like a brand new replacement of my phone. Upgrade expected to Xperip Z2. The above msg was sent on 11th august. After that service center confirmed Sony has rejected your request for upgrade even if you pay the difference amount. So asked to upgrade to Z1 and paid the difference amount of 9000 INR. since 2 weeks customer service and service center are giving crab answers as your IMEI no has expired so warrenty cant be given and is pending for approval with sony. When asked for money to be returned both service center and customer care mentioned money will not be returned. and can’t comment on this. As submitted the handset on 4th august and since then struggling for my mobile and also paid access amouth of 9000INR. I am no where to go so filed a case in consumer court of Breach and mental harrasment and loss in business. One request to all viewer not to visit Sony service center in the name of Aaradhya Service center in Pune. Nepolian owner/ attendent is very arrogant to customers and this service center is completely disorganized. I purchased Sony KEL46EX720 on 15/01/12 and now the display of the tv is overlapping . I registered a compliant with customer care 19981038 and later an executive visited and stated the approx price value for display is 30,000 but he didn’t took up further since my residence zone is not under his service area so another guy from Clarity service centre annanagar came and given another approx value of 25,000. since the value of both the guys are having big difference i once again registered a compliant to cusotmer care service request no 2017071 . At this stage susmita head service conatcted me and said that she will do the needfull then another guy called and said that the display cost will be around 40,000 INR . On hearing this i really shocked with two things one is with the wrong price informatiions and another one is with the quality of the Product with such a good brand value . After several phone conversations with susmita it seems they have ended up in concluding by giving a oudated tv model KDL46W96A by paying a amount of 40000 INR . i cannot bear this huge amount since it is not my problem . I am totally stressed and netally tortured under the leadership of susmita. I need the exact model tv to be serviced or if replacement of tv is to be done then the tv should be of higher variant or of same model what i have currently. I am having a Sony Xperia C mobile. I chose SONY just because of its Brand Value, Perfection in quality and services, except Samsung, HTC, Nokia, etc. From the day First after buying Sony Xperia C, I found it defected because it was automatically being Off after a certain interval of time,(At-least, Two Times in a month ) which made me thought that I had a wrong choice of brand. It suddenly gets switched off anytime and does not gets On, even by resetting the device from the back. I have also visited the Sony Service Center 5 times, but still the problem persists. The Service Center executives solve the issue temporarily every time I visited the there. After a couple of weeks it again creates the same trouble. This is a manufacturing defect and non-reparable (permanently). I want my handset to be replaced by a brand new handset with no manufacturing defect. The date of purchase of this mobile is “2nd Of March, 2014”. The purpose of purchasing the mobile was to keep my business and personal life simple but the purpose is not fulfilled, rather it has made my life so much complicated and Headache, made me going to service center at least 2 time every month. Its just about 4 months only after purchasing and it has been submitted in service center 5 times, I am bearing the loss of my data, time and money every time whenever it goes to the service center. Last date of visiting the service center is 26/07/2014 and the problem still persists. Now I am facing another new problem that it is being restarted again and again. Below attached are the job sheets of service center and purchasing bill. NOTE- I just want my mobile to be replaced with a brand new handset with no manufacturing defects. A line in response would be appreciated. We have recorded some events on SONY MINI DV 53TYS807P 0904 DV Number on 27/03/2014. Now above MINI DV is playing with blank. This DV is tried in almost all type of camera. kinldly help what should we do ? At the outset, let me take this opportunity to extend my immense gratitude for the efficiency & utmost professionalism in regards to my complaint which I as a Sony customer was experiencing. There was a technical issue which I had faced for several weeks and was a bit peeved at first at the response I had received from your customer representatives, in comprehending my problem! However , when I did call in today 06th March 2014, at 10:30 a.m local time I spoke with Mr.Ashutosh & explained my grievance. Giving me a patient hearing ,I was then briefed by him as the problem was of a technical nature & he would arrange for a callback through one of his technical support staff. I was indeed flabbergasted to receive the call by Mr.Pratham Sharma at 11:01 am. ( as promised) who was very professional in his approach. His patient hearing & calmness in dealing with this problem, made me feel that indeed Sony does have professionals like him & has lived up to my expectations.! My problem has been solved & kindly thank him from my end ,as it was an excruciating experience dealing with Customer Representatives on earlier occasions. It saved me the bother of going to an internet cafe as important emails were required to be sent. My only grouse as mentioned in my feedback form ( after the complaint was resolved) is that in Pune where I had bought my Laptop , the so called showrooms ( JM Road & Sadashiv Peth areas ) are indeed pathetic! The salesmen need to be more customer friendly & approachable. Pune for some reason ,I cant comprehend but if you do not converse in the local lingo (Marathi ) they do not care. So much so for Customer service! This is a matter of concern & senior officials should take cognizance ,as there’s a lot of competition around. Also in the bargain you will loose out on business! My business associates have given it a thumbs down. I have still not visited the service centre located on Law college road (Pune) .Hope in case of any further technical glitches later on , I would not have to encounter any RUDENESS! Your customer representatives need more soft skills approaches to comprehend problem’s which customers face . Understand ,analyse & solve it ! & more professional is required here in India.. ( especially Pune lacks the ability in terms of Customer satisfaction & deliverance ).